Lana "Vanity Hooked on Hoop" earrings. 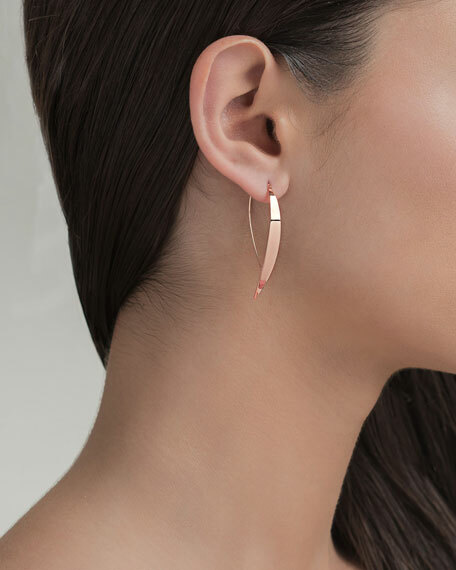 Lana earrings from the Elite Collection. 14-karat yellow gold. Narrow, flat, upside-down hoops. Thread-through backs. Approx. 3"L x 0.2"W. For pierced ears.